One of the best types of healthy meals is a basic salad. You have the option to add many different types of items that include various fruits and vegetables. However, the main area where many people typically go wrong is overdoing salad dressing. The salad dressing which is common on salads often includes high quantities of ingredients that are not healthy. One alternative is to make fermented salad dressings. These can easily be made at home. 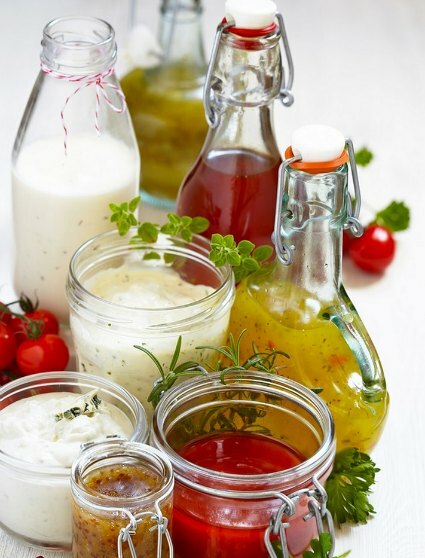 Fermented salad dressings are a great option as a source for probiotics and enzymes. These will aid in the digestion of food in the body and provide other health benefits. Most store bought salad dressings will have various ingredients that include vegetables oils that may be inflammatory, thickeners, and vinegar that is often pasteurized. This is not the case with fermented salad dressings. Many people have good intentions of eating healthy and a salad is certainly a good option. However, a limited selection of dressing and using more than is necessary will defeat the purpose. Fermented salad dressings are a better option for both dietary needs and digestive health. You will have many options to consider when making a homemade salad dressing. The use of fermented salad dressings allows you to use a different selection each day. These are a great source of beneficial nutrients and elements the body needs. You also can add any type of flavor or even a specific texture based on your preferences. There are many ways to make fermented salad dressings at home. A few will require using foods that are fermented to make a vinaigrette and even a ranch-like dressing. Another option is to apply a variety of fruits and vegetables to make a dressing. This means you have many options to have a variety of dressing flavors.